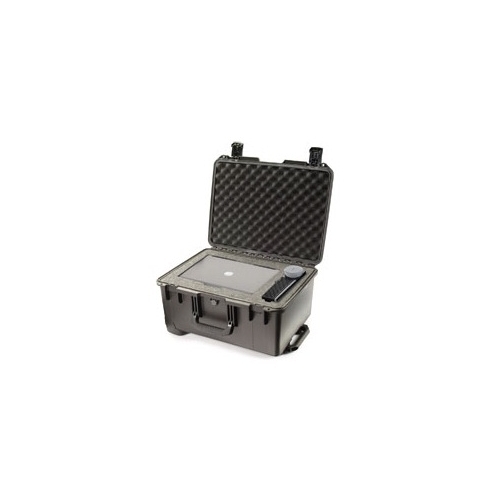 The Pelican™ iM2620 Storm Case™ is the most solid injection molded cases in the industry. Manufactured with high performance HPX resin for dent resistance, the Storm Case™ comes with the easy Press & Pull latches and the durable Soft-Grip Handles. Their water and airtight seals, pressure relief valves, and light weight construction make them the first choice for many industries. The Pelican iM2620 Case is similar in size to the Pelican 1620 Case. One of the main difference between the two cases are the latches. The Pelican Storm line has push button latches and the Pelican Classic line has double throw latches. You can see the difference here.